When you analyse text data in a CAQDAS package you need to import your files in the text format specified by the developers of the software you are using. The most common format is 'rich text' although some still require 'plain text'. 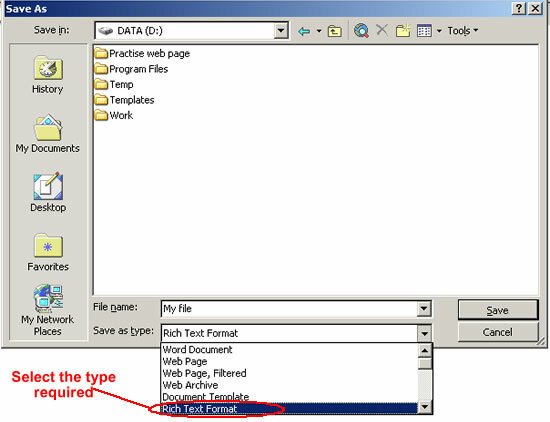 click File:Save As and Formatting. click the arrow in the Save As Type box to open the drop down menu.